Fun high-contrast plastic beads, approximately 700 beads per 1/2-lb bag. 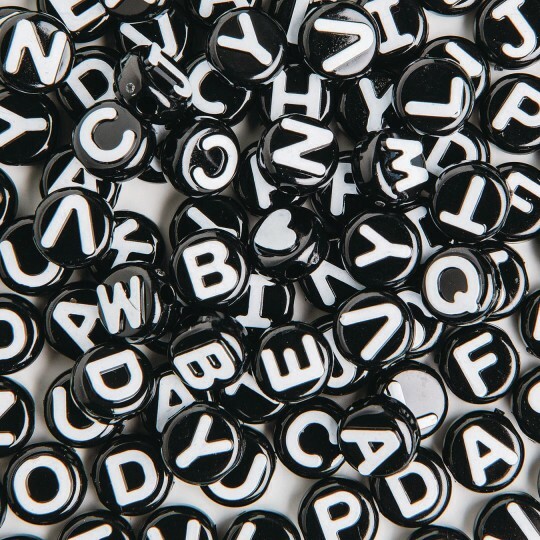 Black beads with white raised letters gIve the effect of chalkboard writing. Made from high-quality polymers in the USA. Fun high-contrast plastic beads, approximately 700 beads per 1/2-lb. bag. 10mm with a 2mm hole. 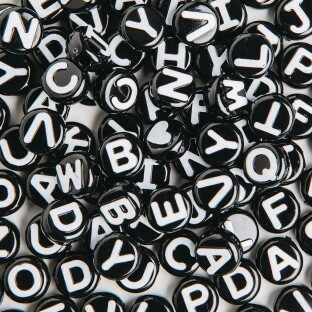 Black beads with white raised letters gIve the effect of chalkboard writing. Made from high-quality polymers in the USA.